At 1845 metres above sea level, Um Adaami is the highest mountain in Jordan. It is situated 40 kms south of the village of Wadi Rum, on the border with Saudi Arabia. From the summit on a clear day visitors will have views across the north of Saudi Arabia, and even to the Red Sea. Although it is high and a local guide is needed, it is not a difficult hike to the top of Um Adaami. From Wadi Rum village, we travel by jeep 40 kms south to Jebel Um Adaami, passing through the wide valley of Wadi Sabet. At Jebel Um Adaami your guide will lead the way to the top of the mountain, a hike of about three-and-a-half hours to get up and down, allowing plenty of time to enjoy the views from the top. Back down from the mountain and we will have lunch (cooked over a fire), and rest in the shade and quiet of the desert for a while. After lunch we will travel by jeep to visit a place to show you how water is collected and stored in the desert, and we will visit the red sand dunes, and as we travel you will see the variety of colour and topography of the desert landscape. We drive to our camp before sunset, and you can explore the camp area, or walk up to the top of a mountain near the camp watch the sun set over distant mountains. Or relax in our big dining tent with a cup of tea and watch the sunset from there. Dinner is freshly-prepared Bedouin food, and on some evenings we cook a zarb, a traditional underground Bedouin barbecue. When it gets dark we sit by the warmth of a fire and share stories and songs. Later we turn off the lights and you can lie back and gaze at the stars in the wide expanse of sky over the camp. When you are tired there is a comfortable bed waiting for you in your sleeping tent. Or, as an added option, you can sleep under the stars. A guide will take you by jeep to a place with no light pollution at all (except for the moon). We will provide mat and mattress and blanket for you, and you can sleep directly under the stars. In the morning you can watch the sun rise over the white desert, and we will return to the camp before breakfast. 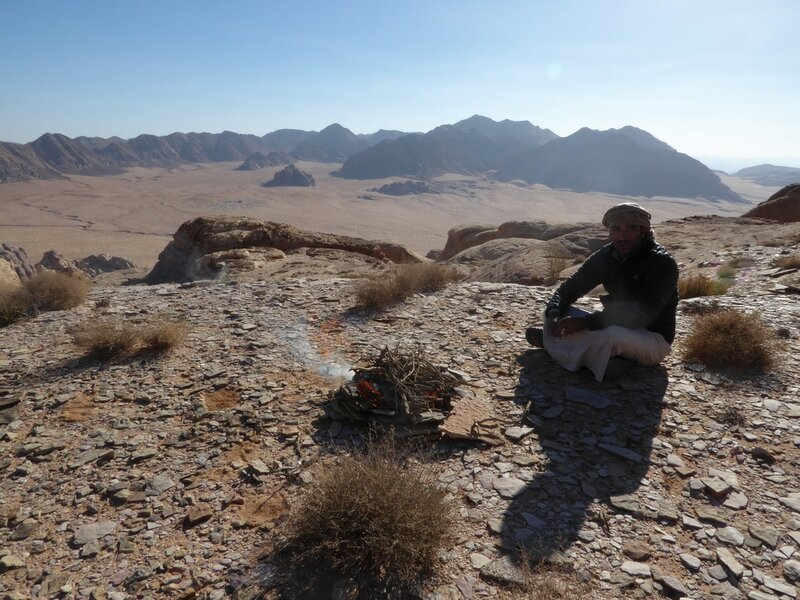 We serve breakfast about 7.00am and return to Wadi Rum village by jeep by 8.30am. More details about our camp here. Included in the price is the jeep tour and hike up Jebel Um Adaami, English-speaking guide, drinking water, lunch, dinner, and breakfast, overnight stay, and return to Wadi Rum village by 8.30am the next morning. 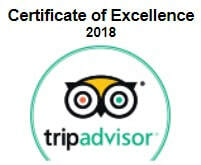 Visit our booking web page now to BOOK your tour and overnight. ​No payment is required until you come to Wadi Rum. There is no booking fee, and we do not ask you to pay a deposit when you book with us. Full payment for your tour is payable in cash in JD (Jordanian dinar) at the end of your tour. For children 2 -12 years old, a 50% discount on tour price listed for 2 adults.